I used my brother pr1000. torah cover - made from scratch for my temple. 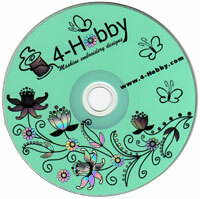 cover is made of velvet and lined with satin fabric. 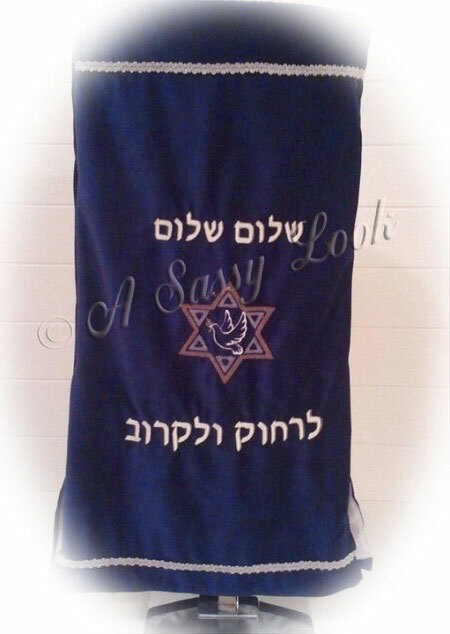 used the gold stars of david and added in hebrew using the 2 color hebrew font "shalom shalom from near and far". matzah cover with matching afikomen bag - made from scratch as a wedding gift to use during passover. cover (lined with a cotton solid fabric) and lined zippered bag are made from various satin fabrics. 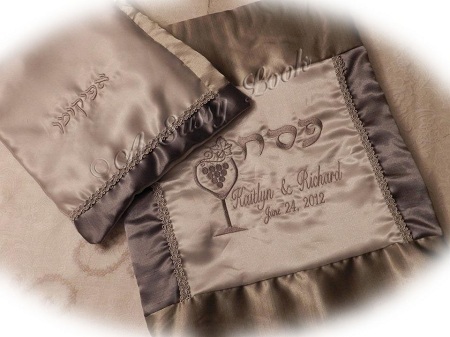 used the passover set and embroidered the word pesach to the matzah cover and afikomen to the coordinating zippered bag in hebrew, along with bride and groom with wedding date. 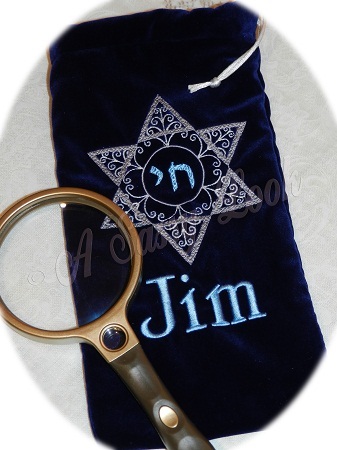 magnifying glass pouch - made from scratch for a birthday present by editing and merging 2 star of davids. pouch is made of blue velvet and lined with same material and has a satin cord drawsing closure.